Like so many others, I am absolutely psyched for December 18th, 2015. If you need to ask why, then you probably are not going to understand my excitement. On that day, the new Star Wars is released, and like many within my generation, I will be lined up at a local theater with bated breath waiting to experience the continuing adventures of Luke, Leia, Han and Chewie. However, I will NOT be dressing up. I’m not that crazy. 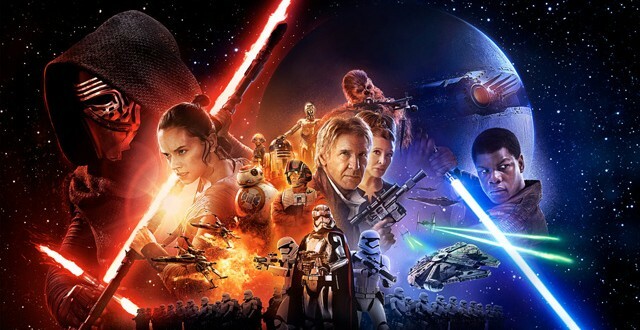 Last week after the third and final trailer for Episode VII was released, a strange Twitter trend began. Evidently, a small group of fools have decided that they should boycott this new Star Wars film because it is ‘promoting a multi-cultural agenda’ and, hence is evidently ‘anti-white.’ A few extremist internet trolls have even argued that the film supports ‘white genocide’. White genocide…….white genocide. Lord. When I first read this my immediate thought was, ‘what is wrong with people?’ Perhaps it was simply a ridiculous hoax? Nope. No such luck. There are obviously people out there who truly believe this garbage. But, when I started to look into this ridiculous story, I grasped a larger more worrying trend. As movies begin to slowly get more diverse (far too slowly for the most part), racist responses to film casting are becoming more common. Star Wars is just the latest, and most extreme example. In 2012, the first Hunger Games film faced a similar racially charged response. 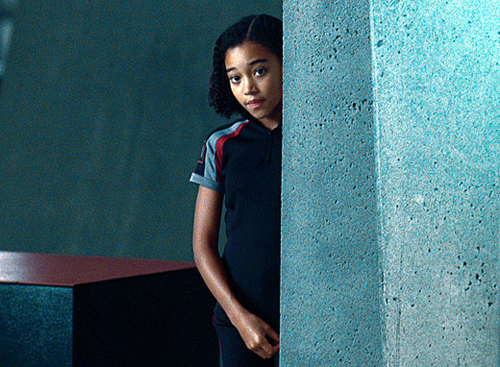 Amandla Stenberg is ‘Rue’ in THE HUNGER GAMES. The futuristic, dystopian film had many white fans upset that a character who they assumed was white was played by an African-American actress. Similar online anger was spewed in 2014 because of the remake of Annie. So, what to take from this? Why does this bother so many people? I believe the Twitter reactions in these cases point to the heart of modern racism, and why it is still a huge problem within our society. the Jew. 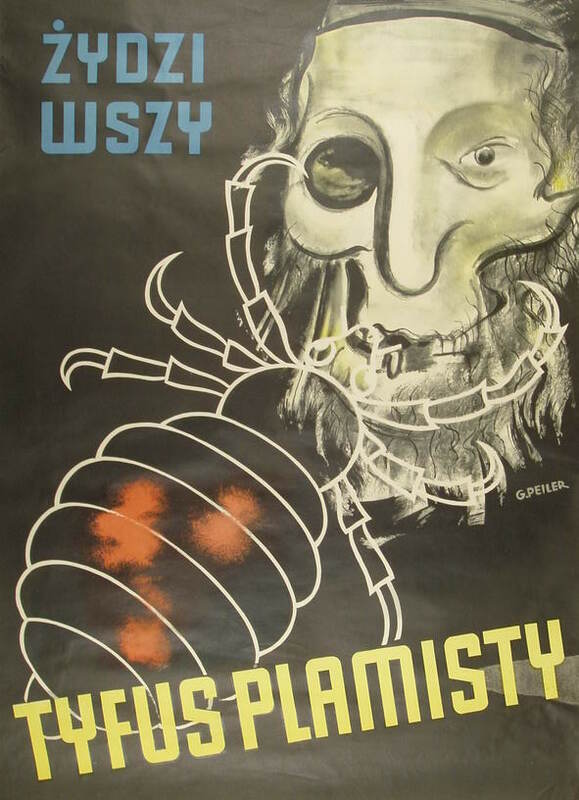 Ad nauseum, Nazi propaganda portrayed the Jew not only as dirty, slovenly and treacherous, but also as a dangerous, even deadly, non-human. Jews were vermin, they were bugs, they were bacterium. The ‘bacillus of Judaism’ was to be destroyed. Such dehumanization attempts to destroy humanity’s natural desire to empathize. All humans empathize with others. We can literally feel the physical and emotional pain of others by putting ourselves in their situation, It doesn’t even need to be a loved one. Humans can empathize with any random stranger. It comes absolutely naturally. We should care, but we don’t. audience were not able to care about any of the characters. We couldn’t empathize with them. Bad acting, bad story development and bad scripts ruined the films. 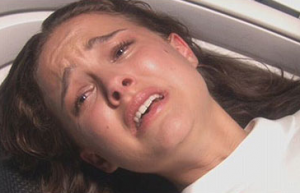 When Natalie Portman’s Queen Amidala dies in childbirth, most of the audience yawned. When Anakin/Vadar finds out about the death of his wife (Portman), and reacts with a guttural bellow of pain, the audience laughed. There was absolutely no empathy, and it was understandable. The twit tweeters who want to boycott the new Star Wars, or who were angry at the Hunger Games or disturbed by the new Annie illustrate their lack of empathy. However, this lack of empathy does not come from bad acting, or a trite script. This lack of empathy is a sign of the pernicious horror of racism. For those who complain when a character is ‘not white’, or not the correct race, they are truly illustrating that they can’t, or they consciously don’t want to see these characters as human. For the twitter trolls, the actor and the character he or she plays can only ever be a racial category: An Other. Finn, Poe Dameron, Rue or Annie become only ‘black’ or ‘Hispanic’. This is the heart of racism, and why we should take such Twitter trolls seriously.